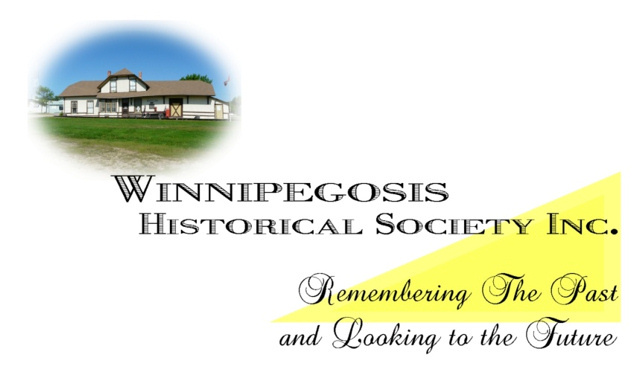 Work on the project to renovate the Winnipegosis Museum building began in 2012. Fundraising for the project had begun much earlier and involved most of the community, as well as people who had lived in Winnipegosis, but had moved on to other places. This section of the website has been left, as it was during the project, to allow those who are interested to read the project reports that were submitted during the period from May 2012, until project completion in 2015. These reports contain photos that show the various stages of demolition and rebuilding of the facility. PHASE 1 -- Lift the 1897 Railway Station and place it on a new foundation. Work on Phase 1 of the renovation project has begun. During the period of renovation, we will be reporting on progress with both photographs and text descriptions of the work being done. Updates will be posted on this page, as they become available. 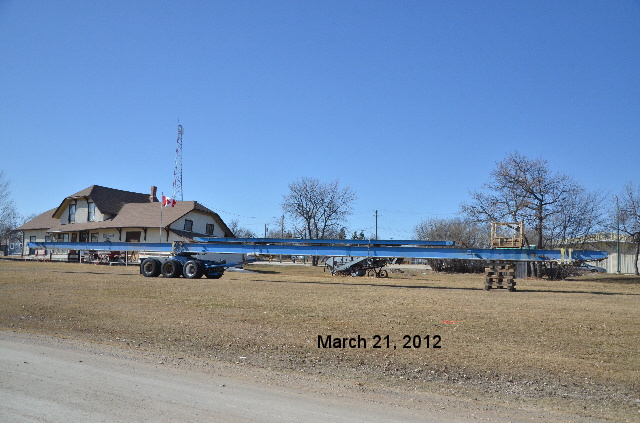 This photograph was taken when the beams were delivered to the site in March, 2012. We will add a new update each month, until the project has been completed. Photographs will be added to each update, as work on the project progresses.